And a visual history too! 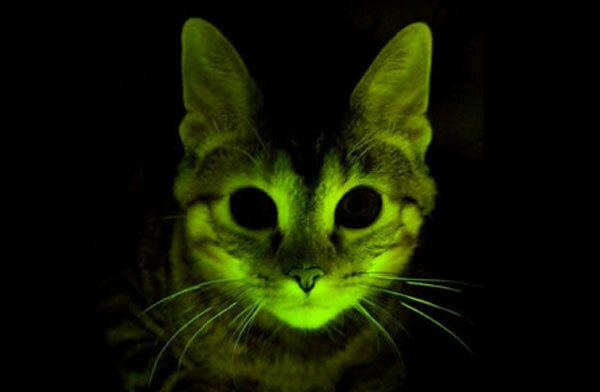 Medical researchers at the Mayo Clinic have developed glow-in-the-dark kitties as part of their search for a gene therapy that might cure people with AIDS. The technique is called gamete-targeted lentiviral transgenesis. This is a fancy way of saying that genes were inserted into the eggs of female cats before they were fertilized. In this case, the team inserted a rhesus monkey gene that is known to block cell infection. The gene specifically blocks infection by FIV, or feline immunodeficiency virus, a virus similar to the human virus that causes AIDS. 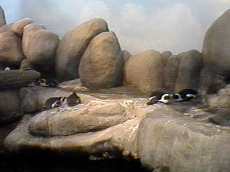 In the process, the researchers also inserted a jellyfish gene for tracking purposes. The jellyfish gene makes the kittens born from these altered eggs glow green. This is the first time this sort of gene implant has succeeded in a carnivore.